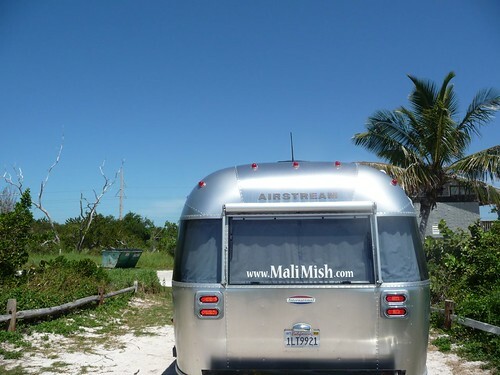 Mali Mish – Day 68: Goodbye Florida Keys, Hello Oakland Park. After 10 days and 9 nights in the Florida Keys, today is the day to go. 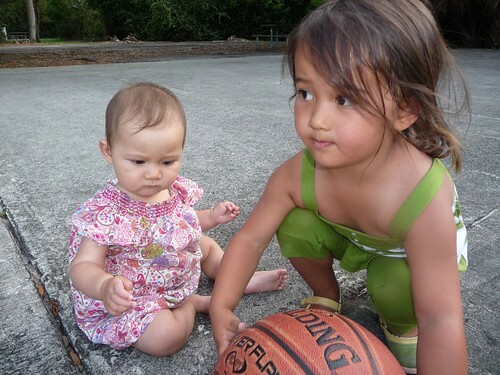 Our original reservation at Long Key was a 1 + 2. It meant that we would have to move from one site to another after the first night. Luckily for us, when we got there, a walk-up site was open and we were able to switch to it for the entire stay. That meant that we actually have the option to stay here for up to 14 nights if we chose to. I might have considered it if we didn’t already spend my left arm and right leg on a Fort Wilderness/Disney World visit next week. To tell you the truth, we are ready to see other places. We have been in Florida for about 40 days and most of that have been in South Florida. It is time to move on. 29 days ago, we drove across Alligator Alley to Miami. Today, we are driving back through it for the last time. It feels like we have not made any progress on our trip to still be here in nearly a month but we have seen some of Florida’s greatest sights along the way. For the next 3 days, we once again have no reservations. It is bringing back some sense of excitement for the trip we remember feeling on our way across the country. We thought about staying the night at a Wal-Mart but since it had been so warm in the evenings lately, Marlene was worried that not having air conditioning was going to be a problem. Me on the other hand, have other issues on my plate. 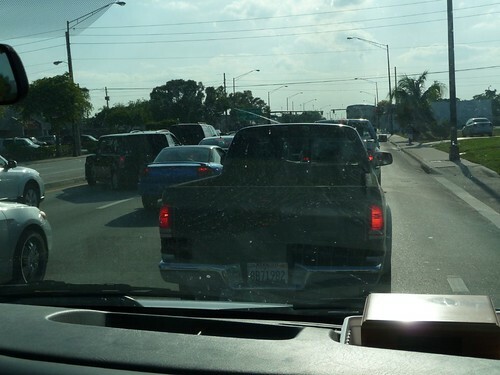 Top of the list at the moment is the ridiculous Miami traffic I am dealing with on this Thursday afternoon. Everyone knows that stop and go traffic is murder on your car’s fuel economy. It is much worst if you are towing a 7,000 lb aluminum laundry basket behind you. Rubbing salt on my wound is this guy in the picture actually cut me off on one of the streets near Miami. It’s not that this hasn’t happened before, especially here in Miami, but he is sporting a California plate and a UCSB license frame along with it! Come on! Show a little courtesy to a fellow Gaucho! 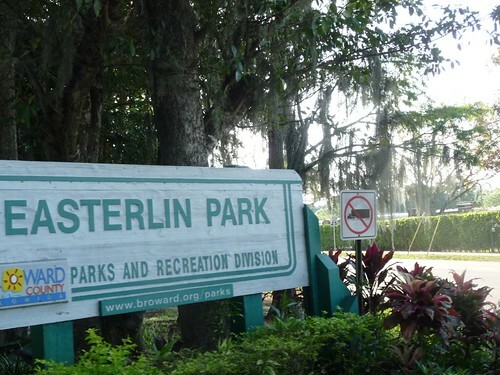 After driving through some shady neighborhoods and filling up gas at an even scarier gas station, we found ourselves at Easterlin Park in Oakland Park, Florida. 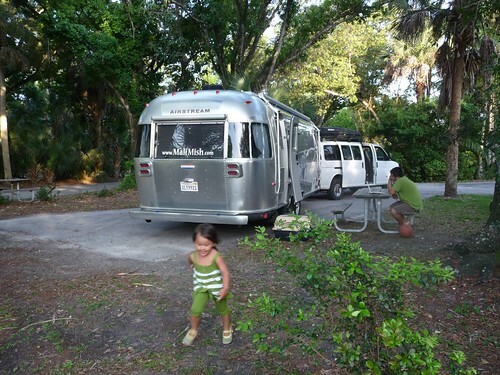 In the Miami-Dade, Broward and Palm Beach counties, it seems that most of the state parks do not have campgrounds. 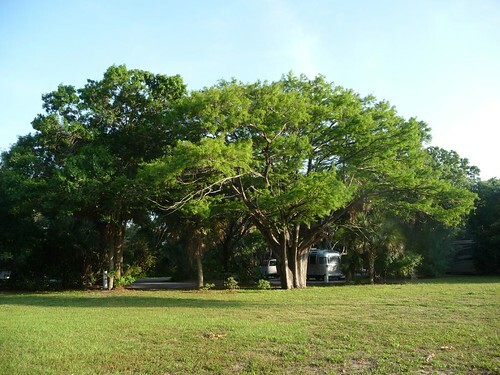 It is actually the county parks that are doing a large part of the RV camping business. Oakland Park, Florida is not really a city that prides itself on its tourism industry. Of all of the south Florida cities that we have been to, this one ranks right up there as a ‘don’t-walk-around-at-night’ kinda place. Surprisingly however, when we drove into Easterlin Park, the scenery took a drastic change for the better. Even though it is wedged between the tri-rail train track and Interstate-95, it is actually quite serene and beautiful. Being that it is late April, the campground is mostly deserted of the winter snowbirds. They are now long gone and we got a nice site right next to the field by the lake. 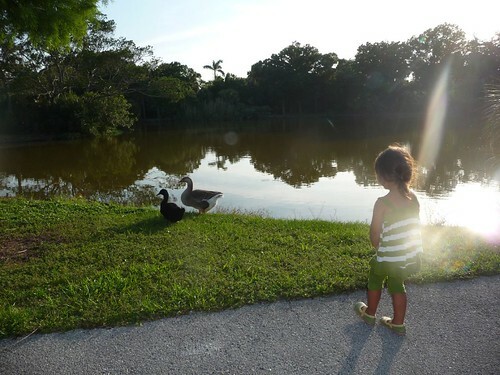 Ava got right to her ill-advised business of stalking the ducks by the lake much to our chagrin. 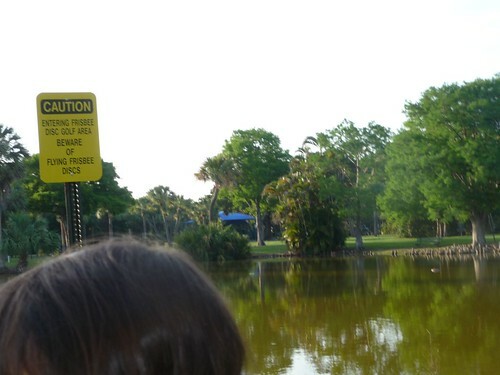 The park here is also a popular local frisbee golf course and signs like these are posted everywhere making sure you don’t become victim to a fierce game of disc chucking. I took the opportunity to get some work done while the girls got busy burning off of the pent up energy from the long car ride. Day 67: Funnel Cloud and Squishy Sand.